So I’m one of those girls who loves every type of food. As in, I really struggle to think of a cuisine or even a particular food item that I don’t like. I’m strangely not the biggest fan of tomato ketchup and I can’t eat Liver or kidney, but those aside, I’m the biggest foodie I know. 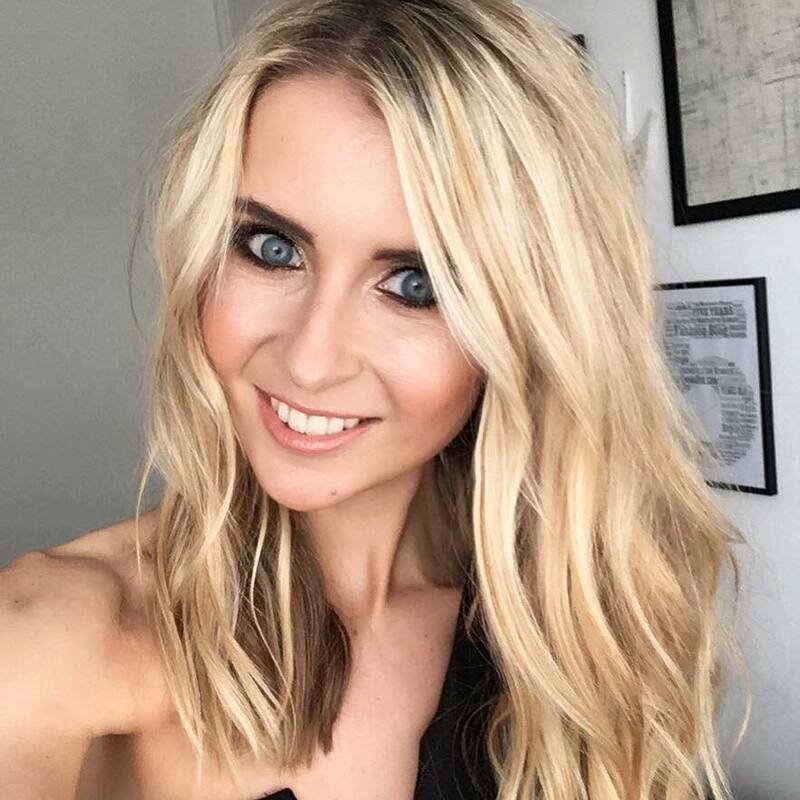 If I had to pick a favourite cuisine, it would be a very close call between Thai and Italian, but seeing as there are a lot more Italian restaurants dotted around the UK, it tends to be my first choice. 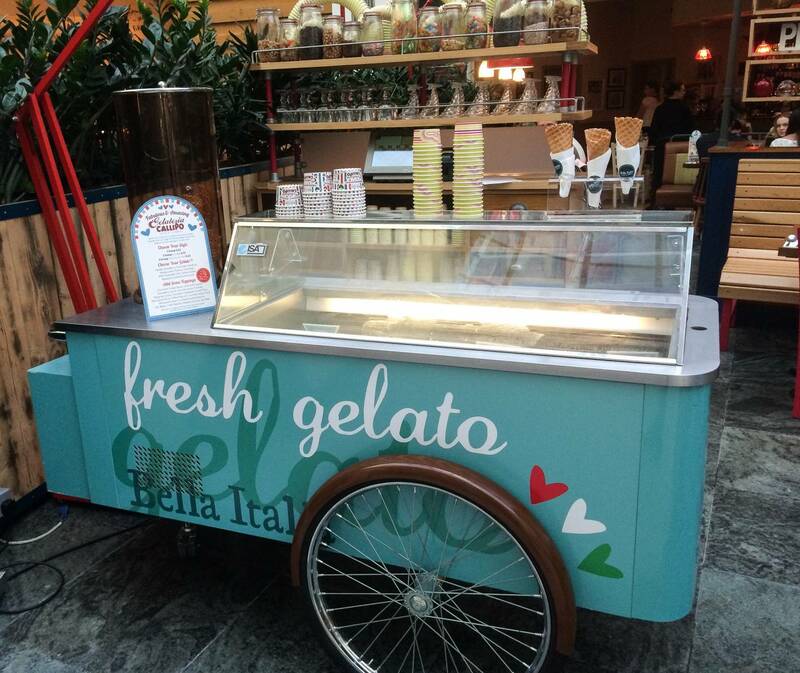 I was recently informed about Italian restaurant chain Bella Italia launching a new menu for the Autumn Winter season, in which sounded very intriguing and definitely something worth me trying out. So I headed over on Monday 21st September, a day before the official launch on the 22nd, to taste an array of Italian delights. 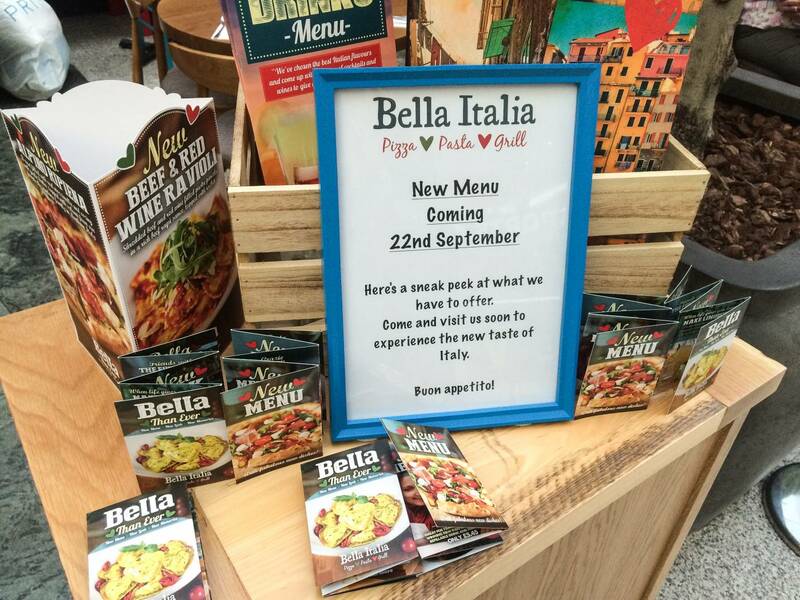 It was really nice to experience a selection of the foods, so I could try a little bit of everything, giving me a good idea of the way Bella Italia have decided to go for Autumn/Winter. 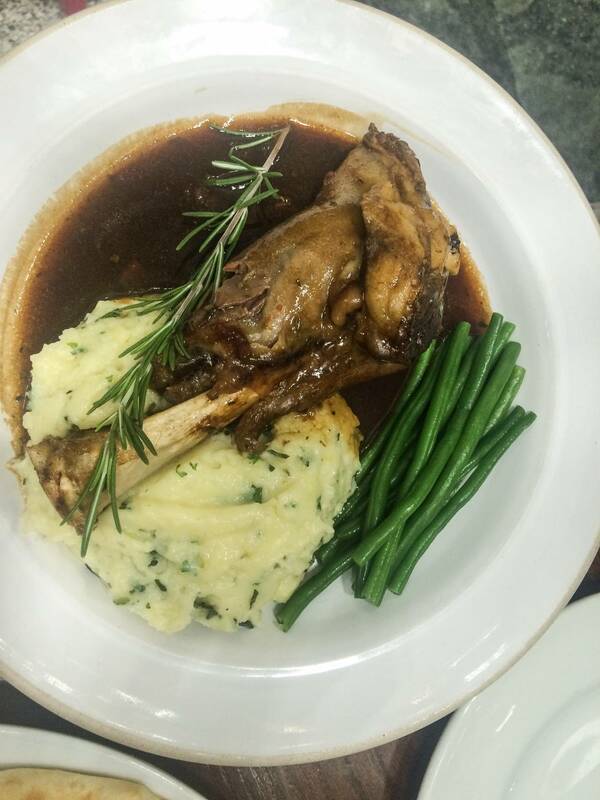 For example, one of the main meals brand new on the menu was Lamb Shank slow-cooked in a garlic, red wine and rosemary sauce, with the loveliest creamy mash potatoes. I would never usually try a meat dish out at an Italian, but it was great to try this as the sauce was incredible – a real rich, and flavoursome taste, plus the meat was really tender and garnished with tasty green beans. A different dish to what I would normally opt for, and cooked very well! 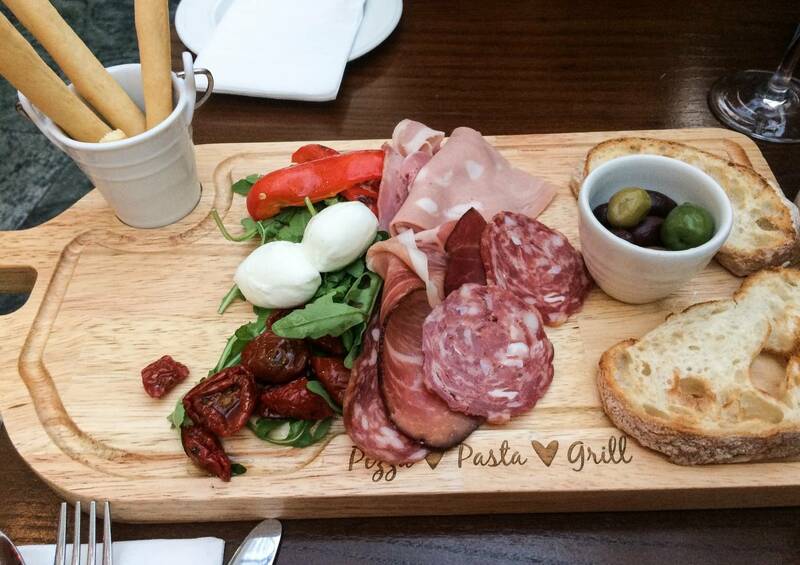 To start, myself and my guest shared an Alpino Antipasto Sharing board, as Bella Italia have launched three different types of sharing platter boards for their new menu. 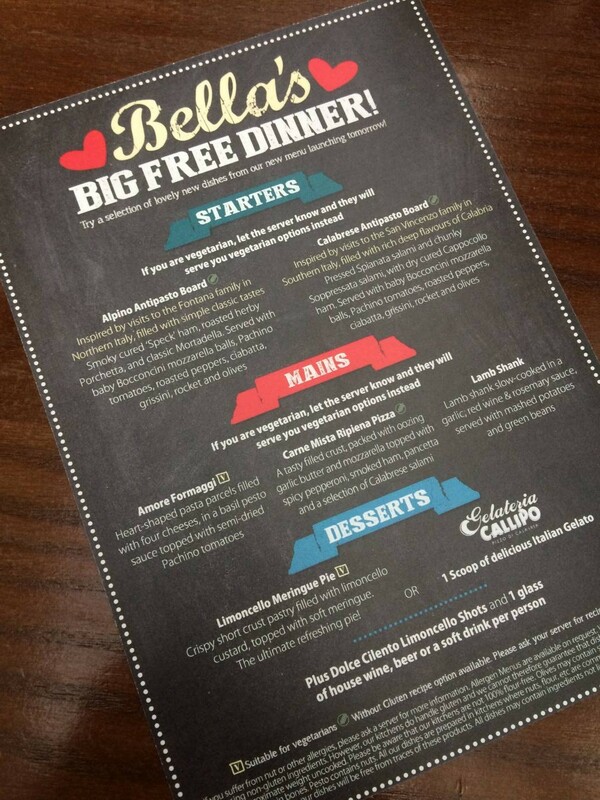 This is a really good shout for Bella Italia, as it is something a lot of competitors have been doing for previous seasons, and is fast becoming a favourite option for diners when visiting an Italian. The selection of smoky cured Speck ham, roasted herby Porchetta, classic mortadella, baby bocconcini mozzarella balls, pachino tomatoes, roasted peppers, ciabatta, grissini, rocket and olives was more than satisfying, and provided a great selection to start with. 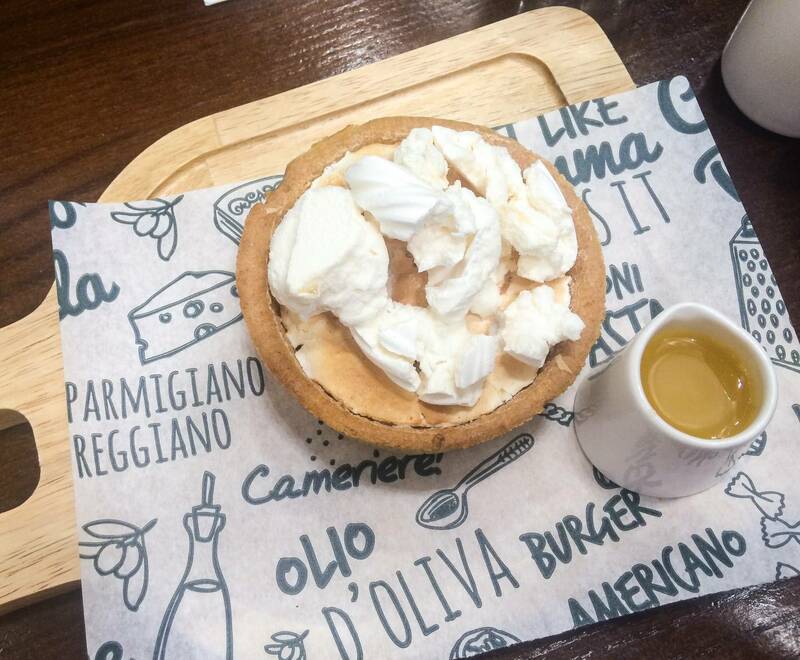 For mains, we tried the Lamb Shank as mentioned earlier, and also the Carne Mista Pizza (Spicy pepperoni, smoked ham, pancetta and a selection of Calabrese salami) and the new Amore Formaggi – which is a stuffed pasta dish designed as heart shaped pasta – super cute! 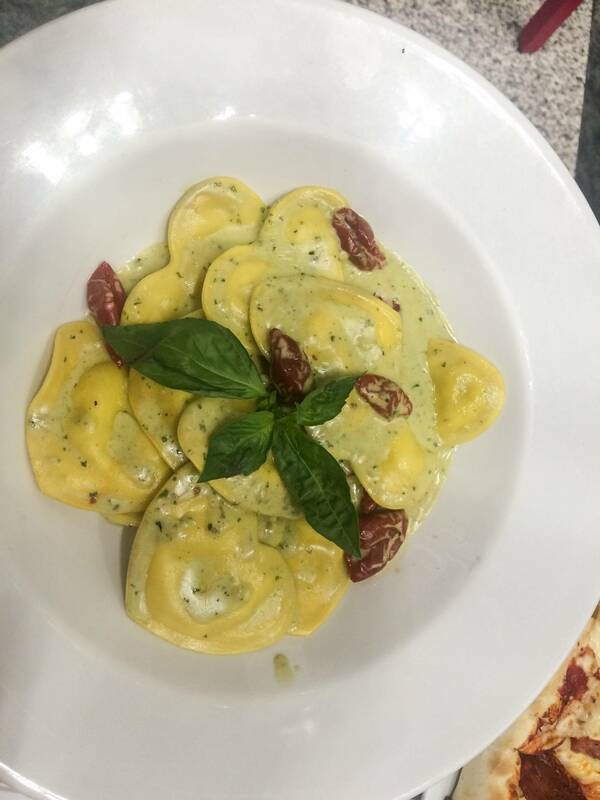 The pasta parcels are filled with four cheeses, in a basil pesto sauce topped with semi-dried Pachino tomatoes. I’m not usually the world’s biggest pesto lover, but this was delicious, with the whole cheese, pesto and tomato combination working really well together. I have to say the pizza was my favourite, but that’s purely because I have a weakness for pizza, and everything about this soft dough with creamy cheese and tasty meats was just perfection. There are a couple of items on the new menu that I spied in which I’d love to try when I come back, such as the Pasta Capra – a delightful looking dish of curly spaghetti with roasted peppers and onions, tossed in a pomodoro and basil sauce topped with rocket and goat’s cheese (I love goats cheese!) and the range of Pizza Vita’s – pizzas coming in at under 600 calories each. They are made up of long, thin and crisp wholewheat bases topped with rich cherry tomato sauce, lemon dressed baby spinach and rocket, with various toppings. So who knew port was a good combination with dark chocolate? Or that a good Riesling goes well with Asian food? I tend to eat a lot of Asian food (second to Italian dishes!) therefore this has been really informative for me and interesting to find out. I’m going to save this infographic on my Pinterest page so I can keep it to hand and refer back to it whenever I’m cooking dinner for guests, or eating out at a restaurant. I love Italian cuisine, so delicious! Food looks yummy and thanks for the wine guide, I always struggle to pick one.